At Mr. Muffler, located in Westland, Michigan, we specialize in mufflers, but what you may not know, we also offer a full range of automotive services. Does your car need a tune up? Give us a call. Looking for transmission services in Westland? Give us a call. From transmissions to brakes, we cover your whole car and can help you get your vehicle repaired and back on the road in no time. Refuses to go in gear. This can sometimes be caused by low transmission fluid, the wrong viscosity of the fluid or require adjusting of the shift cables. Smell of Burning. If you smell a burning smell, that maybe from a overheating transmission, proper transmission fluid helps prevent over heating, but if you do not have the proper amount may cause the over heating. Leaking Fluid. Seeing puddles of a bright red type of liquid on your driveway or parking space maybe a sign of a leaking transmission. Check Engine Light. This warning light is not always the transmission, but there are sensors that detect transmission problems, so if you see this light, do not hesitate to bring in your vehicle. Shaking and Grinding. Manual transmissions is where you would hear a grinding sound when shifting to new gear. 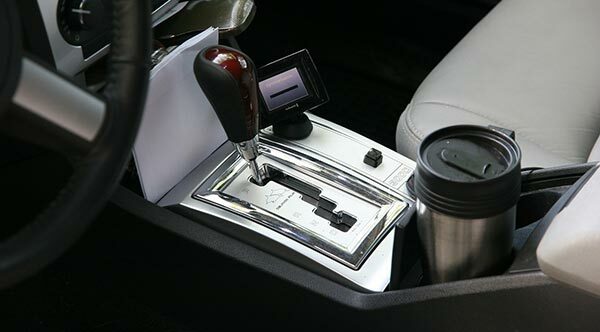 For automatic transmissions, you would feel more of a shake in the vehicle between gears. Lack of Response. Transmissions are designed to shift into the proper gear and go, if you feel a delay or overall sluggish response time, this is usually a sign of a bad transmission. All these signs can help you determine if your transmission is starting to go bad. When you start looking for a reliable automotive service provider in Westland, that can handle transmissions or what ever other work your car or truck may need, contact Mr. Muffler at 734-721-2800 or use or form and make an appointment today, so we can service your vehicle and have you back on the road in no time!